Carriers in China are currently focused on sharpening their sales and marketing initiatives, with strong focus on improving the efficacy of digital channels. Be it for customer service, recognizing loyal customer and retaining them via apt personalization techniques or direct sales, airlines are increasingly relying on their digital channels. There are numerous aspects that need to be addressed in order to attain the goal of being a customer-centric organization. “Building a Customer-Centric Airline” is the main theme of China Airline Distribution Conference 2016, scheduled to take place on Oct.25-26, 2016. Mr. Yu Wang joined Spring Airlines in 2008 and serves as the company’s president from April, 2016. From 2002-2008, he worked in a variety of positions for companies including Roland Berger Strategy Consultants, BearingPoint Management & Technology Consultants and Hewitt Associates. Mr. Yu Wang graduated from Shanghai Railways Institute with a degree in electrical engineering. He studied at Southern Illinois University from 1999 to 2002 and earned a master and an MBA degree in economics. Mr. Jeremy Wei took the role as CEO with China Eastern Airlines E-Business from Dec, 2014. Mr. Jeremy Wei has taken various management roles with China Eastern Airlines, including Director of Corporate Management Department and Director of Executive Office with China Eastern Airlines Jiangsu Limited, General Manager of Service Quality Management Department and Director of Transformation Office. Mr. Jeremy Wei has extensive experience in strategy formation, innovative research, customer experience management, service marketing, consumer insight, quality control. 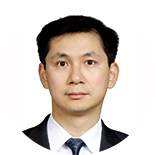 Mr. Jeremy Wei holds a master degree of philosophy and a Ph.D degree of business administration from Nanjing University. Ms. Biqun Li now serves as the vice general manager of Customer Relationship Department, Marketing and Sales Committee of China Eastern Airlines. She joined China Eastern Airlines in July, 1996 and has worked at Computer Information Center and Marketing and Sales Committee. Ms. Biqun Li has involved in the creation of frequent flyer club and the customer service center of China Eastern Airlines. Ms. Biqun Li holds an engineering bachelor degree from Nanjing University of Aeronautics and Astronautics, majoring in automation control. She also holds a master degree from Chinese Academy of Sciences. Oct 26 15:10 - 16:00 Executive Roundtable：How Airlines Leverage Technology Innovation and Strategic Partnership to Build an Efficient Loyalty Program? 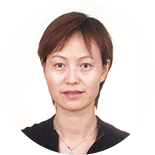 Ms. Yuebo Zhu now serves as the deputy general manager of Sales Department, China Southern Airlines. She has 14-year experience in airline IT sector. She has led various programs including SOC, OA, e-ticket and e-commerce at China Southern Airlines. 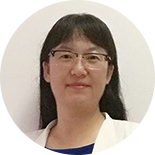 Ms. Yuebo Zhu also has nearly 10-year experience in market analysis, product management and channel management in terms of airline marketing and sales. Ms. Yuebo Zhu graduated from South China University of Technology, majoring in computer science and application. Oct 25 09:50 - 10:40 Executive Roundtable：How to Build a Customer-Centric Distribution Channel? Ms. Bonita Huang currently serves as the deputy general manager of Sales Department of Air China. 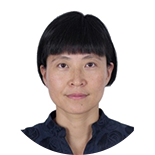 She has been worked with Air China for 25 years and gained rich experience in core business and management. From 2005 to 2010, as the leader of Air China Call Center, Ms. Bonita Huang built an all channel service platform with excellent service quality. In 2010 and 2011, as deputy general manager of Marketing Center, North China, Ms. Bonita Huang took full responsibility of Air China route management of north China, in which she brought in advanced IT tools and management concepts with keeping channel sales ability as before. Ms. Bonita Huang graduated from Civil Aviation University of China, majoring in computer application. 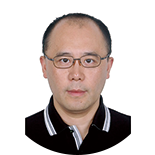 Mr. Yi Li is the deputy general manager of Marketing and Sales Committee with Shandong Airlines. He joined the company in 1995. From 2000, Mr. Yi Li established and took the leadership role in revenue management, e-commerce, branding, network planning and Customer Care Center. From 2013, Shandong Airlines has achieved leadership position in App development, IATA NDC implementation and middle-aged tour brand "Ci Xiang". Oct 25 16:10 - 17:00 Executive Roundtable：How Airlines Leverage Technology Innovation to Improve Travel Experience and Maximize Ancillary Service Revenue? Mr. Jack Hao is the vice director of Commercial Committee with Sichuan Airlines. In his position, he oversees marketing, sales and e-commerce. He has worked in aircraft engineering maintenance department for 8 years and then worked in marketing department for 17 years. Mr. Jack Hao had taken the role as sales manager and business management manager at Beijing, Shanghai and Chengdu branches. He also took a six-month "management and security" special training at Lufthansa Airlines as well as other professional trainings at Airbus France, KLM, Singapore Airlines, Hong Kong Airlines and HAECO. He has participated in various international conferences hosted by IATA. Mr. Jack Hao graduated from Civil Aviation University of China with major in avionics maintenance. Mr. Yang Teng is deputy general manager of Marketing & Sales Department, West Air. He has been in charge of the main sales job for a long time, leading West Air transform from a traditional carrier to a low-cost carrier. He has actively promoted the concept of differentiated services, completed the introduction of revenue system, integrated distribution channels and significantly improved the direct sales proportion. He has rich experience and insights in airline revenue management sector. One of the key events that all travel professionals who are interested in the China market should attend. Up-to-date information and highly relevant topics were discussed. China Airline Distribution Conference hosted by TravelDaily attracts the most influential leaders of the aviation industry in China to come together and share their insights of the industry in a search for business opportunities.